In 1602, Ralph Brooke, York Herald, contested 23 coats of arms granted by William Dethick, Garter King of Arms, including the arms originally granted to Shakespeare’s father, John Shakespeare, and now belonging to William Shakespeare. Brooke argued that these coats of arms were granted to unworthy or deceased individuals, or, in the case of Shakespeare, that they too closely resembled the ancient arms of Lord Mauley, a barony that became extinct in the fifteenth century. Dethick defended Shakespeare’s coat of arms by pointing out its unique features and John Shakespeare’s civic career and marriage into the Arden family. He argued that although the basic pattern of Shakespeare’s arms (a bend sable) resembled others, the use of the spear made it unique, and that John Shakespeare "hath borne magistracy and was justice of peace at Stratford upon Avon," and "married the daughter and heir of Arden and was able to maintain that estate." The outcome is not recorded, but the dispute appears to have been resolved in favor of Dethick. 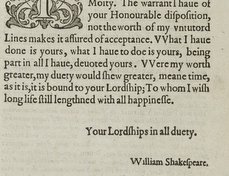 This is one of two versions of Dethick’s reply to Brooke’s “scroll of arms,” which are also the only two examples of Shakespeare’s arms in color from his lifetime. Dethick had a hand in both versions: this version, with a small revision in his hand, is neater than the Bodleian version, which is entirely in Dethick's own handwriting. They differ in subtle but substantial ways (in addition to the expected spelling differences). For example, in the Bodleian version Dethick notes that Brooke’s complaint “hath so injuriously defamed” the people who hold the coats of arms, a detail omitted from the College of Arms copy. 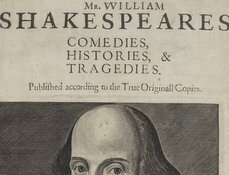 Because Shakespeare’s father died on September 7, 1601, William Shakespeare, who inherited the arms, would have been the target of defamation. Was the dispute between Brooke and Dethick more than just an internal affair? A rich collection of heraldic archival material scattered across the United States and England will surely yield further details. Right Honorable. The exceptions taken in the Scroll of Arms exhibited do concern these arms granted or the persons to whom they have been granted. In both, Right Honorable, We hope to satisfy your Lordships in particular if with your favorable leave we may present to your honorable and grave considerations the ancient & manifold authorities granted by the famous Princes of this Realm unto our predecessors. As in the reigns of King Henry 5th and Henry 6th unto William Bridges, knight, then Garter, who gave sundry blazons of Arms, and in the time of king Edward 4th to Sir John Wriothesley, Garter, and also King Henry 7th and king Henry 8th to other Garters, as Sir Thomas Wriothesley, Sir Christopher Barker and Sir Gilbert Dethick, and to all such as had the office of Clarenceux in their times as most plainly may appear under the seals of those famous Princes' authority to give Arms, as well to persons spiritual preferred to places of degrees of honor and worship, by grace, vertue, and learning, as to persons temporal for their service done to the King's Majesty and such as have been advanced to offices of dignity or increased in riches and possessions able to maintain the same. This coat is not deduced from the Arms of Mortimer, earl of March but is different both in color, number of bars, and the cantons gyrons. And yet in the times when those Mortimers flourished most both Edesin and Hagely bear then coats of Arms nearer in show to that of Mortimer without any contradiction. Neither was their any exception taken in those ages when the Honor of Arms flourished most, for the resemblance of Coats of Arms. But for the Identity of Arms, or the self same Arms to be borne by two of distinct names and families. As in the memorable controversies between Carminow and Grosvenor; Sir Theobald de Gorges and Warbleton; Sitfilt and Fakenham; Singleton and Baud. And yet this Patent hath long since been recalled and cancelled with the parties consent. Whereas Mr Hall by relation of his parents deduceth himself to be descended of that name of Hall of Bradford in Wiltshire, but uncertain with what difference he might bear that arms, these indifferent colors were assigned to him. And herein and in all such like cases we as our predecessors in their acts and visitations are to rely upon the credit and report of persons and their memorials, being worthy to be believed. This Walter Cowley, who as it cannot be denied to be descended of that house of Cowley in the county of Staffordshire, untruly called ironmonger, being unwilling to prejudice the heirs of that house, accepted the mullets to be added upon the bordure of his ancient coat of arms by our advice and consent. 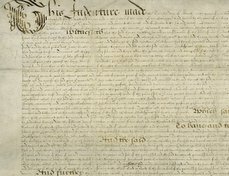 The late earl of Essex, Earl Marshal of England, commanded me and Clarencieux to give these Arms to Murgatord, sometime secretary then steward to the most reverent lord, the Archbishop of Canterbury, a justice of peace having other office of dignity, with these express words: A Secretary to a councilor of estate doth serve the estate and therefore qualified to bear Arms. And his Lordship wrote also in that behalf as Mr Temple can testify. Mr Whitmore, a rich merchant of London born in the county of Shropshire, where he possessed fair lands and where in Cheshire that name and family is far dispersed who all bear this coat of Arms anciently. Whereunto for a more especial difference at his funeral's being worshipfully entered at London, was added the cinquefoil in the canton with the badge or cognizance convenient. Neither doth trades derogate more from Gentry more in England then in Venice, etc. This coat is not the Lord Birmicham's now of Ireland. For that is party per pale, indented, argent and sables. The person to whom it was granted, and that upon some proof by him produced, is a doctor, in the civil law. And they by Rescripts of Emperors are called Clarissima dignitate constituti. And they hold for a principle, that Meritum Scientiae Juris Civilis, ipso Jure reddit eius peritum Nobilem. Mr Elkin and Mr Lee, who are depraved as base tradesmen, it is well known that they have been both sheriffs of London and Mr Lee shortly to be mayor of that city. So that it cannot be denied, but unto men of that place of civil government such honor of Arms hath been always allowed in former ages. It is certain likewise that Mr Thwaites was an alderman of London and had this coat without the flower de luce given to him by a herald that hath no such authority. Which if it had passed by his warrant without the authority of us Kings of Arms happily it had never been called in question, yet such are daily given and passed without our knowledge. As for the other nine coats, first Withins, a worshipful citizen and alderman of London. The Arms were allowed at the request of the heralds for his funeral, to their profits. Mr Gibson, a man of honest parents, justice of peace, alderman, and sheriff of Norwich, of lands and wealth sufficient. And sufficient different from that name and Arms. Pettous was alderman and sheriff of Norwich. Mr Lawrence was allowed that coat with a difference at the request of the heralds for their turns at funerals. As for Mr Smith, Young, and Mouldsworth, Garter never gave them Arms nor Patent. Woolger: As for Woolger, he was not in the last roll and yet being inserted in the new paper, Garter answered that he never gave them. These Arms are falsely and maliciously surmised to be given to Hayward by Garter. As it was directly proved by young Mr John Hayward of the Inner Temple, gent. The true blazon of the Arms exemplified by Garter Anno 1592 to Henry Hayward, late elected alderman of London, now of Tandridge in Surrey, 1601. As for Mr Harborne, whereas they also say that Garter made a false pedigree for Peirs Harborne, who they evilly and untruly say was a traitor, etc. because he was in Spain. 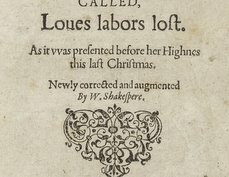 Garter answereth first that the copy which they produce doth not agree but is differing from the original pedigree which he made for Mr Harborne. The pedigree was for many descents, testified and proved at that time in the Office to be true. The Arms witnessed and allowed by the late Cook, Clarenciuex, and so confirmed by Garter. And the said Piers Harborne justified to be a good subject to the Queen's Majesty as appeareth by a letter. Dongan: As for Dongan, Garter answereth that he never gave him any. But what was exemplified by Garter is proved by Mr Dongan's letter for his antiquity. doe concerne these Armes granted or the persons to whome they haue bin granted. bin recalled and cancelled with the parties consent. descended of that howse of Cowley in the countie of Staff. England then in Venice &c.
Pettous was Alderman and Sheriffe of Norwich. giuen to Hayward by Garter. Iustefyd to be A good subiect to the Quenes Maiestie as appeareth by A letter. Garter is proued by Mr Dongans letter for his antiquite.